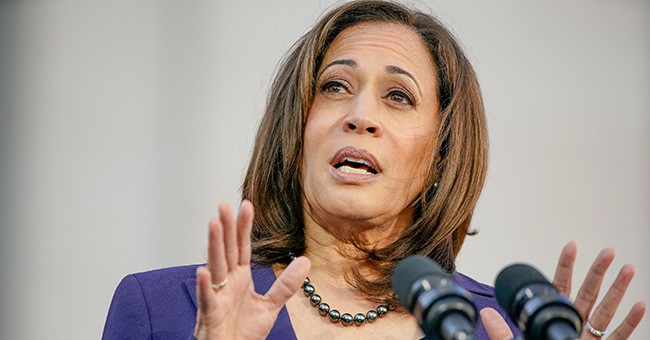 Presidential candidate Sen. Kamala Harris (D-CA) is someone who has long opposed capital punishment. She reiterated that point during an interview on National Public Radio last week. In Harris' eyes, there is nothing, absolutely nothing a person could do to justify the death penalty. During her interview, host Steve Inskeep brought up California Gov. Gavin Newsom's (D) recent moratorium which put a halt to the death penalty in the Golden State. Harris appears to be in step with Newsom, who said capital punishment goes against the bedrock of Californians' principals. Here's the exchange between Harris and Inskeep. Harris' take brings about one vital question: is the death penalty reasonable in other countries but not in America? She said "Not in the United States," which means there's something that differentiates us from other nations. Is it our standing in the world? Is it because other countries are more crime ridden? That modifier can make so much. Generally people who oppose the death penalty are against the punishment because they feel it's immoral. To infer that it's wrong for Americans to utilize the death penalty but it's perfectly okay for other nations is rather odd. And it's twisted thinking.